The following are evidence documents that prove not only the existence of our heritage and perpetual community, but that of many other Metis as well. It also addresses our right to our identity as Metis (with a capital "M"). Please check back often as documents will be added regularly, as time allows. Many other orgs and scholars have attempted to pick apart communities, and in some cases, making claims as experts when in reality they are not part of our communities and know little or nothing about us from real life experience. 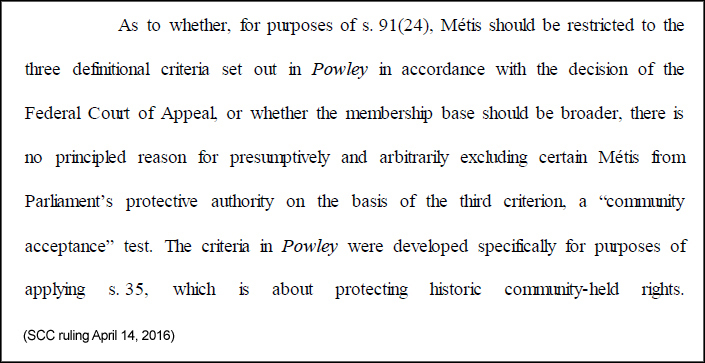 This finally acknowledges what we've been saying --- that Metis exist across Canada. The judges and researchers have seen the evidence and they agree with us. How do communities in hiding prove who they are? That's the question we needed to answer, and we've done an amazing job of it, using experience that comes only from having lived within the community. And now we can get on with doing what we need to do to build a stronger community and foster pride in our heritage and culture. Finally. 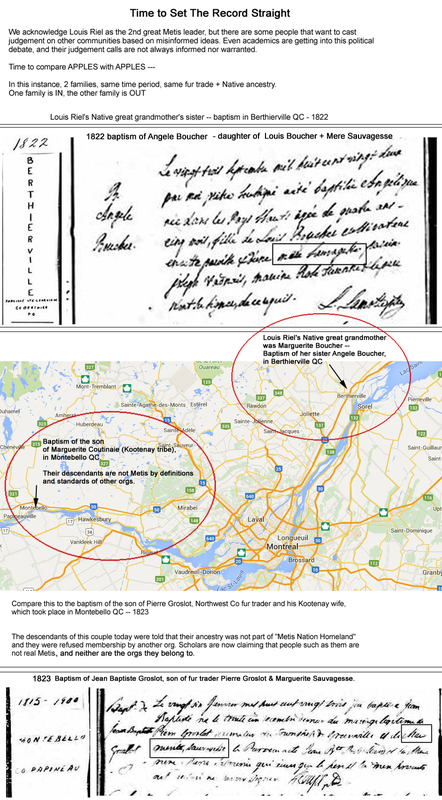 Let's examine this more fully, using 2 families as examples -- both fur traders, both Native wives, both from the same time period, both from the same general area around Montreal, Quebec. According to the new criteria created by some orgs, which requires that one must have ancestors who were in "Metis Nation Homeland" to be registered and considered "real Metis", one family is IN, the other is OUT. Does this make sense from the perspective of drawing lines in the sand to minimize the numbers of people who have a Metis identity? The issue at hand now seems to revolve around claims, and therefore new definitions are being created, to decide who also gets to keep their identity. In our community, "writing off" of identity and the hiding that occurred are big barriers to preserving our culture. If our elders are still too afraid to talk, then we lose parts of our heritage, and our collective stories have the potential to teach us so much. Imagine that you discovered that your fur trade ancestor was involved in the Pemmican Wars, and had been kept from starvation because of being locked out of his post in the winter. This was a story that nobody was allowed to tell, because it identified us as being Metis. It is part of our history. Those stories our elders hold onto are part of our history. If we cannot identify because lines are being drawn, and our identity is being "written off", then that hurts our community. 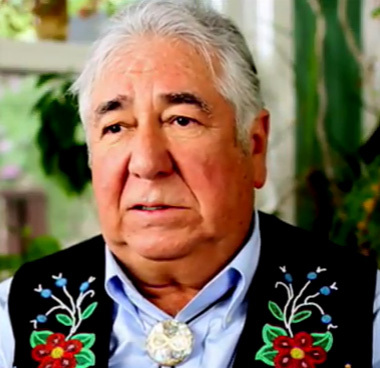 We have a right to our identity, and so do other Metis. There are new evidences being presented as time progresses, because there are very many archival documents that have not been "discovered", let alone presented, about our ancestors. There are also evidences that have been presented in the past that have resulted in conclusions that have been used to create policy. One new idea being put forth today is that Metis at Red River before Batoche are "mixed - bloods" and not "Metis". Here is the last paragraph of the Halfbreed Peace Treaty of 1815 that was signed during the Pemmican Wars. This is 70 years before Batoche occurred. This is from the era of the first formation of resistance to settlement at Red River, by the Metis led by Cuthbert Grant Jr. The denial that this group of people are actually Metis is something that is occurring today in political, academic and other circles. This is one proof document that this claim is not substantiated. The last paragraph of the Halfbreed Peace Treaty of 1815, from the Lord Selkirk Papers. an equal share with them. --"
Red River Settlement 25th June 1815. Claims have been and continue to be made to "write off" Metis before Batoche, by stating that they were not conscious as a group with their own identity, culture and presence. 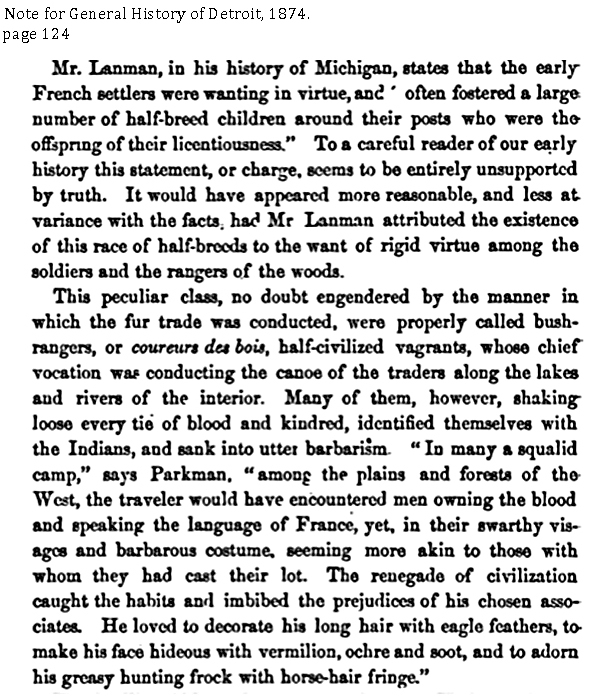 The following is an excerpt from the trial testimony at the hearings following the Pemmican Wars, on this very subject. -- from the transcript of court proceedings in the disputes between Selkirk and the Northwest Co, held in York, 1818. The Pemmican Proclamation was made by then Governor of Assiniboia Miles Macdonell, to prevent the Metis from trading pemmican out of Red River. This was to address a food shortage (among other theories), but the effect was that the Metis who traded goods as part of their livelihood were now not allowed to do so, and settlement in Rupert's land was occurring. This land was promised to Metis that it would remain free-ranging, and as part of the bison hunt, and because Lord Selkirk (who had shares in HBC) was told he was not allowed to give that land to settlers, he then bought 51% of the shares of HBC and now had control of it. He set up Selkirk Settlement against the wishes of the Metis. The Pemmican Wars that followed, and finally ended at the Battle of Seven Oaks, were led by Cuthbert Grant Jr., "Chief of the Halfbreeds, Warden of the Plains". 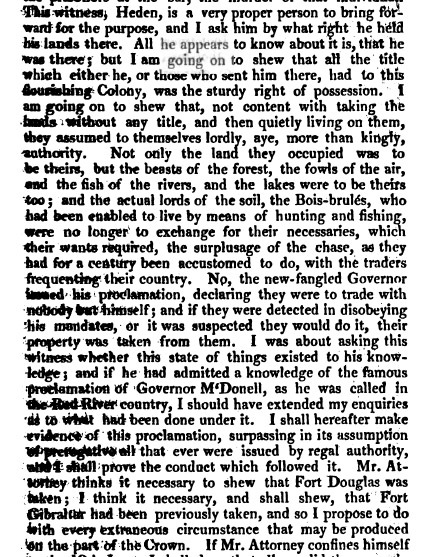 This testimony by one of the lawyers at the court proceedings (1818) is part of the evidence left us, that the collective consciousness of Metis (Bois Brulés) was reported 70 years before Batoche and the resistence led by Louis Riel (1885), to have been understood and known as such (living off the land) for a century before that! So for all intents and purposes, this document describes the Metis on the fur trade trails -- which means every union of a fur trader and Native which produced children -- then known as Metis, Bois Brulés, Halfbreeds, (or any other term used to describe them) and acknowledges them as a people with inherent rights since at least 1718 - for areas west, northwest and southwest of Montreal. Imagine that. 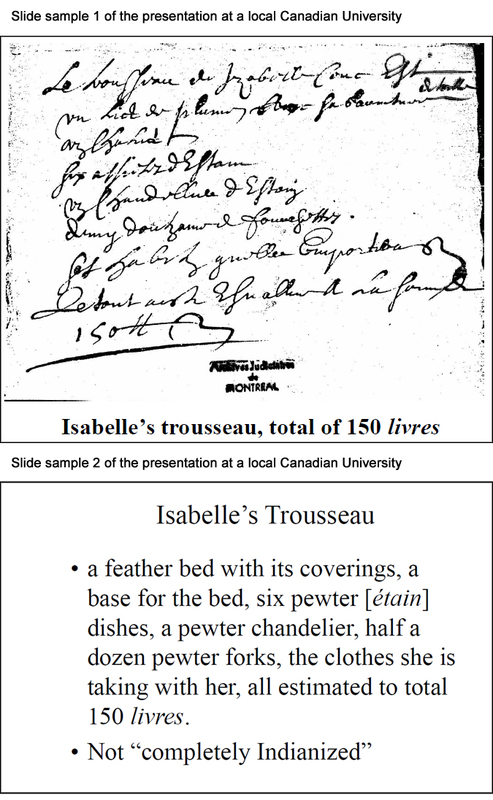 It was recently presented for an organized academic seminar at a local Canadian University -- and the following claim made by Suzanne Sommerville, that a Metis ancestor in our community cannot or should not consider themself as "Metis" because they apparently were deemed by the presenter to "not be Indianized" enough to make such a claim, because they owned European items and slept in a feather bed. We find this to be a misinformed, incorrect and offensive claim, that is not reflective of our knowledge from within our community. We would like to point out that there are numerous examples of Metis women, from core Red River families, who not only slept in featherbeds, but owned very many European accessories. This does not give Ms.Sommerville the right to make judgements about identity based on personal belongings. As an example, we would like to present Magdeleine Poitras. Born in Qu'appelle Saskatchewan to Northwest Co partner Andre Poitras and his Native wife, she along with husband and Northwest Co. partner John Macdonell were in the Athabaska territory for most of their career, and they retired to their Georgian Mansion on the Ottawa River in 1817. We are quite certain that not only did Magdeleine and many others like her sleep in featherbeds, and own European accessories, but considered themselves Metis too. 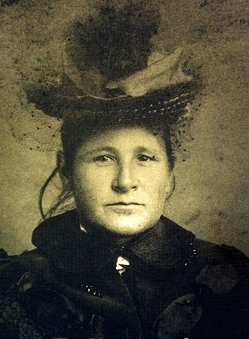 And here is a picture of Marie Rose Delorme Smith. Her writings about the last free-ranging Metis families in the west are in the Glenbow Museum. She was from core Metis families that were in Red River during both major uprisings (Seven Oaks 1814-1816 and Batoche 1885). I'm certain she considered herself Metis. She most likely had a feather bed too. And this from a letter written in the 1770s by HBC manager Philip Turnor about Northwest Co. employees taking their featherbeds with them on the trail. It leaves one to wonder if Ms. Sommerville thinks that the Native woman mentioned ("his girl") was "too Indianized" to be worthy to sleep in it. This kind of statement, again, is a very misinformed method of categorization (and offensive to say the least), the effect of which is marginalization, or a "writing off" of our identities altogether. We have always existed, and had the right to exist. We ask that researchers and academics please do not speak for our communities if you do not understand why such allegations are offensive. Thank-you. 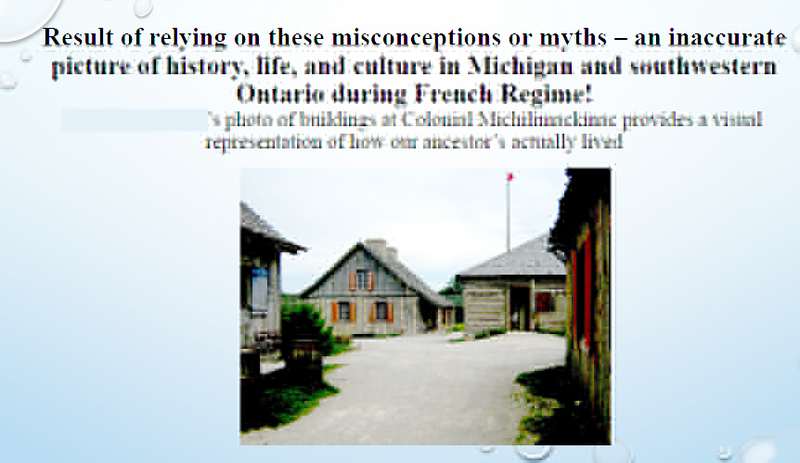 The claim that Ms. Sheppard is trying to make is that Metis people did not live in houses like the one above (Michilimackinac village), and therefore communities in the Detroit area were (and are) not Metis ones. Notice the statement claims it is a "myth". We believe that this will help persons trying to make up their own mind based on facts and not using old Hollywood stereotypes to draw conclusions as to whether a community is Metis or not. We hope presentation of facts assists to reveal new myths unfortunately being spread throughout academia by "self-appointed" experts who are not part of our community, whose purpose mirrors forced marginalization and "writing off" of indigenous identity. 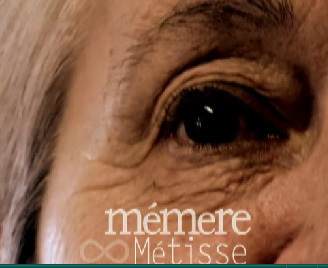 Another of the claims in the same presentation is that our community identity as "Muskrats" is the result of "metissage". In other words, they are claiming that people in our community who were of both Native and European ancestry and culture didn't acquire culture from their Native side. Instead, they "took on" or "borrowed" that culture from the neighboring Indians. The suggestion is that people who were of both French and Indigenous ancestry did not have a sense of themselves as being Indigenous, but rather they were purely French, and chose to take on the ways of neighboring Indians. 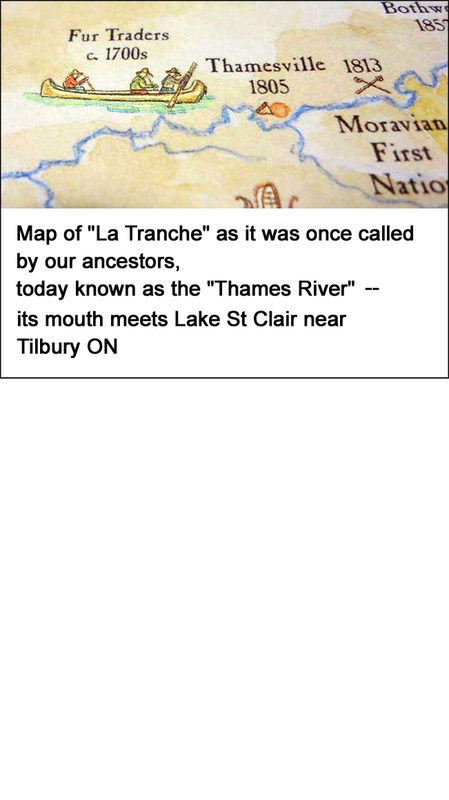 To be clear, ours is not the only area that has traditionally hidden our indigenous identity, and claimed to be French Canadian, when in fact our culture has shown for generations to have components that are Native American. This happened in the west too. 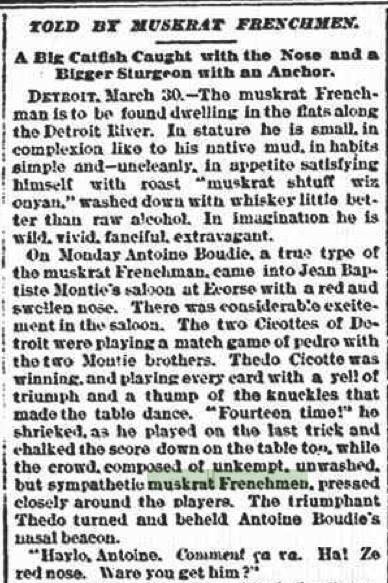 Attempts to "write off" our identity by claiming that the "Muskrat French" were the result of "metissage" is a misinformed conclusion. Hundreds of our families were visibly and biologically and culturally Native trappers. 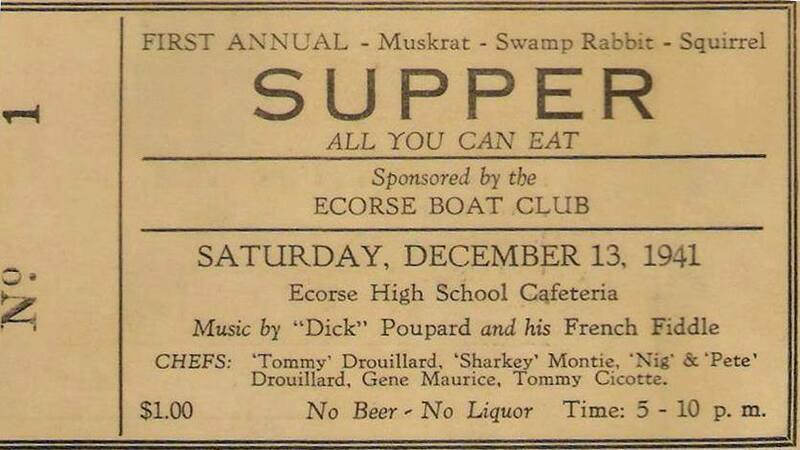 The fact that our communities have traditionally held community Muskrat suppers did not happen by coincidence, nor did it happen because they borrowed that tradition from neighboring Indians. The claim is ridiculous. Yes it did happen that some Europeans took on Native lifestyles. Fur trade partners for example, took on Native lifestyle in order to survive the harsh winters of the trade posts. They were literally starving at times, and were often rescued by their wife's family, but does that mean that their Metis children "borrowed" their Native culture too? This statement and assumption is just plain false. Metis children were half Native, so of course they learned lifestyle, culture and skills from their mothers. The subsequent offspring resulting from Metis marrying Metis meant that children learned Native culture because they were Metis. To say otherwise is silly, and just more marginalization of indigenous identity. For the sake of argument, and in our opinion, we find it enlightening (if not racist) that these presenters chose to decide that the "borrowing" of Indigenous culture was one-sided -- as in Europeans becoming culturally Native. In the same breath there was no room or consideration for deciding that Metis people could actually be Native Americans that "borrowed" from their European neighbors to build European styled dwellings. What these gals appear to be saying is that Europeans had every capability of learning from Indigenous people, but that the opposite -- Indigenous people learning from Europeans -- was not a possibility. We find this very offensive. These types of opinions are just that -- opinions. It is unfortunate that they are being presented at a local University as "expert opinions". They are offensive, and just add to the effects that marginalization and oppression have created in our communities. 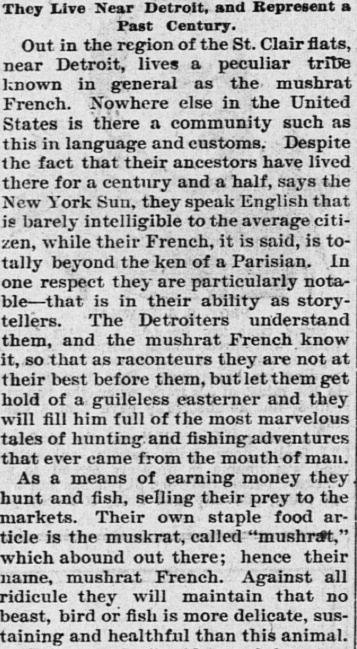 The other part of this claim of "metissage" has to do with the "small numbers of Native unions in early Detroit". Well, to compare APPLES with APPLES, the Metis in the west were from unions between Metis with other Metis, that occurred mostly after 1820, so early Detroit unions (before 1760) are irrelevant in our communities as identity markers, because most of our families have multiple Native ancestry due to this same type of intermarriage between Metis, from various time periods, and various regions, just like the Metis in the west. Add to this, that an estimated 2/3 of the Metis from the fur trade left the west and scattered in small communities just like ours, we don't even consider this a valid argument in quantifying our identity by any measure. It is another attempt to "write off" our identity as indigenous families and communities, but this time by actually comparing APPLES with BANANAS. 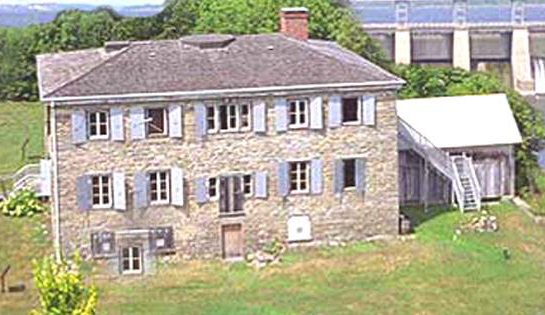 James Laforest's article "A Metis Family in the Pays D'en Haut" gives a glimpse into the multiple cross connections of just a small slice of families from our community. 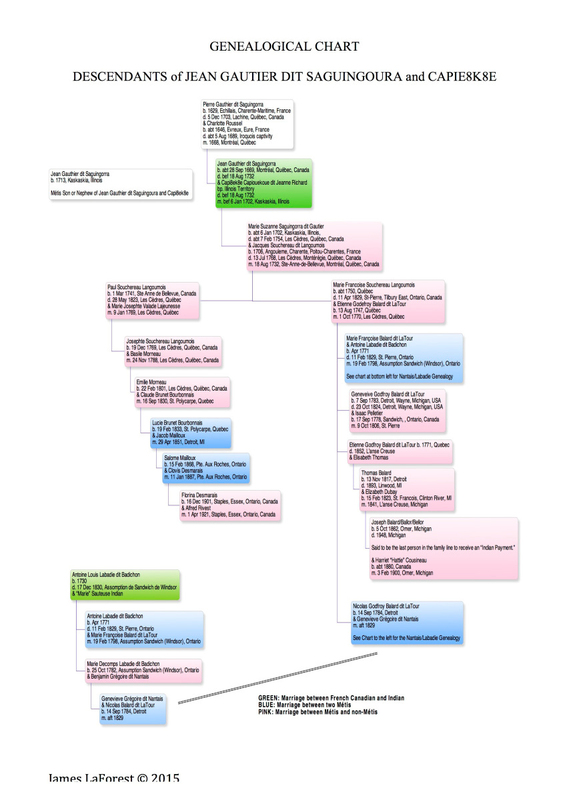 The corresponding family tree chart illustrates connections within 4 families descended from Marie Suzanne Capi8ek8e (Kaskaskia Nation) of intermarriage in subsequent generations with multiple lines of Cree, Ojibwe, Saulteux, Huron-Wendat, and Abenaki ancestry. One point that has not been made in this regard, in comparing APPLES with APPLES, is that today in western Metis families, intermarriage of this generation has brought together more ancestral lines than the previous generation, and the same goes for our communities. The fact that in complying with the privacy act, we are not at liberty to publish such unions, does not mean they have not occurred. That our grandparents, parents, selves, and children (whom all fall within the time period of the act) have continued the practice of Metis marrying Metis and therefore merging these families to even greater multiplication of lines in the same way as Metis in the west, is something that we know from within our families and communities. Scholars cannot "write off" this fact, hard as they may try. We all know that as hidden communities with hidden identities, heritage, culture and presence are difficult to prove, but we have done a great job doing that considering the oppression and hiding that has occurred. Still, there are academics that attempt to report adversely on our heritage or culture, forming various opinions and reporting them as factual conclusions and in some cases presenting themselves as being from our communities, when the reality is they did not grow up in our communities, they are not experts in our communities nor our culture, and ultimately they do not have the right to spread their opinions as though they are factual. We see this as just more of the continual marginalization that our communities and families have experienced for generations, and their attempts at claiming that our communities either never existed? ?, or took our culture from others? ?, or have vanished altogether? ?, we will address as best we can on this page. There is a really good reason why we know each other in our communities. It's because we've lived that hiding and marginalization together. It's something we share that outsiders cannot "write off". Just as some academics a few years back decided that French Canadian culture no longer existed in Detroit regions, (something which persons within our FC communities know as untrue), the same is happening with Metis identity. For those who attempt to marginalize our community (and who are not part of it), they have no idea from real life experience what our indigenous identity is about. For some strange reason, the person making this statement as a self-proclaimed "expert" now thinks she is an expert in Canadian constitutional law, even though we don't believe she is a lawyer, and she is not Canadian either. But all of a sudden Ms. Sheppard claims to be an expert at deciphering what it means to be a Metis person under constitutional law! in which he discusses the hiding of identity that occurred in Metis families and communities IN ONTARIO. Again, comments brought forth as factual that are not from within our communities do not reflect the reality of what thousands of families, including those in the west, have experienced for generations. Those persons who are leaders in our communities have bravely opened conversation to bring families together after years of hiding. Please do not insult them with more marginalization or categorization that you decide to pull out of your ill-informed back pocket. Additionally, section 35 of the Canadian Constitution does not mention anything about whether or not someone who hides their identity is excluded. The fact that these statements are being spread by persons claiming to be "experts" is unfortunate, misinformed, and only adds to the marginalization of our families and communities. Again, we ask that those who do not know our communities from within, to please stop making claims that do not reflect the reality of our experiences.